Weighing only 4.6 ounces, the GX-2009 fits in the palm of your hand (2.75" H x 2.95" L x 0.98" D). The GX-2009 simultaneously monitors and displays combustibles, oxygen, carbon monoxide, and hydrogen sulfide. 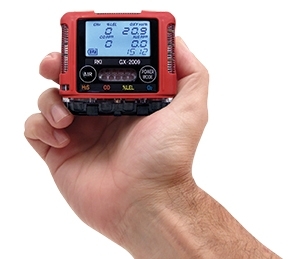 The GX-2009 represents the latest evolution of gas detection technology. Advancements include dual audible alarm ports and alarm LED’s on 3 sides of the instrument, so that alarm conditions are obvious from multiple perspectives especially in high noise environments. Other features include a waterproof and dustproof design with IP 67 rating, an impact resistant rubber over-mold body that is RFI resistant, and a large capacity data logging system included as a standard feature. A huge capacity data logging function is a standard feature on all GX-2009 instruments, and will store up to 8 alarm trend sessions where readings are recorded 30 minutes before and after an alarm event. The data logging has a 3,600 data point capacity with a log time range of 10 to 300 hours based on programmable interval times. The data logging software will also store up to 100 calibration records and is Windows XP and Vista compatible. 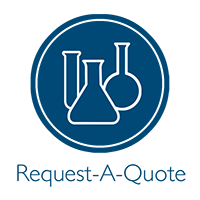 The GX-2009 is also functional with the Data Cal 2000 instrument maintenance system and the SM-2009U single calibration station. The GX-2009 is designed around compact and proven sensors, utilizing catalytic combustion, electrochemical and galvanic sensor technologies. o 2.7” H x 3” W x 1” D, 4.6 oz.